Nothing beats a homemade corn tortilla. 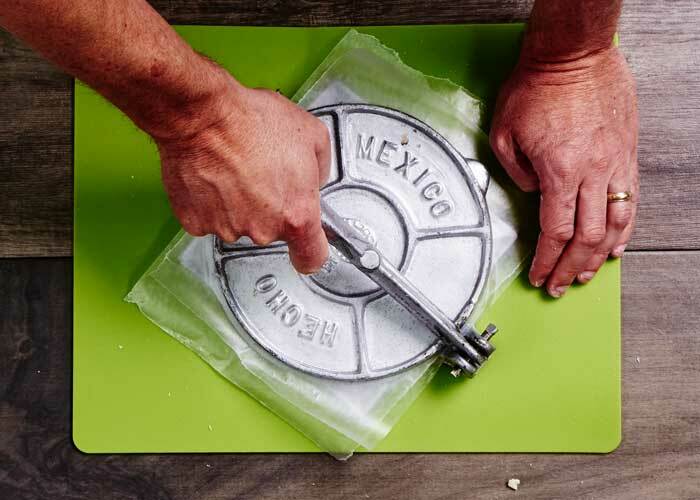 If you have never used a tortilla press before they’re simple to use and inexpensive. 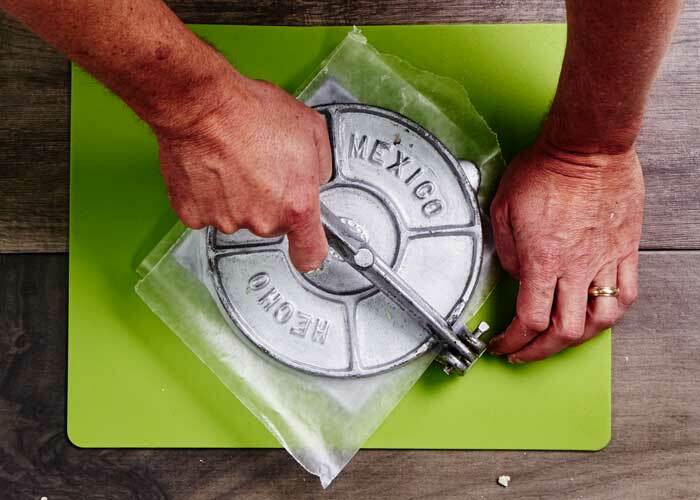 They are a great addition to your Mexican kitchen. Time to make some tortillas! Yeah…! Obviously, you are going to need some tortilla dough called masa to make tortillas. The first option, make the dough. 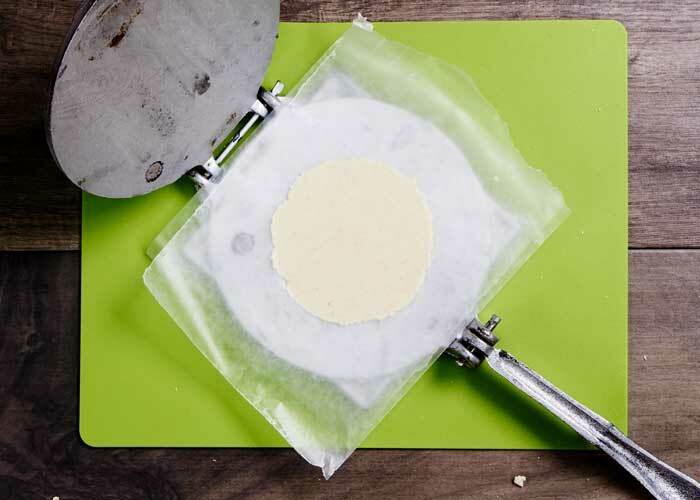 You can prepare it using corn flour for tortillas which you should be able to get at almost every supermarket. 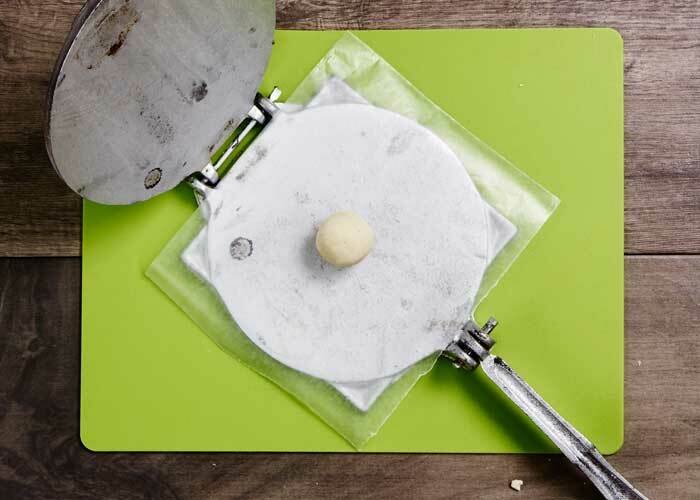 Follow the directions on the package to prepare the dough. The second option, buy the dough. You can buy prepared dough at a local Mexican market. If you are really lucky, you might find masa prepared from ground corn, not corn flour. If you do have the opportunity to buy ground corn masa buy it. Your tortillas will have a hearty more traditional taste. 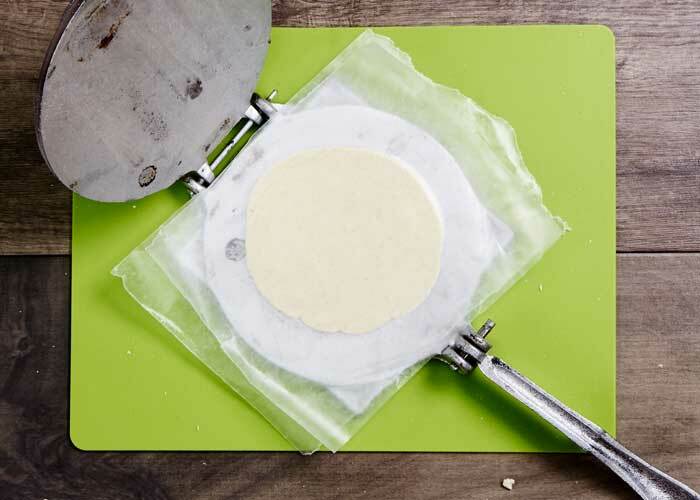 Besides the dough and press, you will need 2 squares of waxed paper or plastic to keep your tortillas from sticking to the press. Most cooks in Mexico cut up plastic grocery bags for the plastic squares although I generally use waxed paper. Cut 2 squares of waxed paper just large enough to cover the base plate of the press. Place 1 square of butcher paper on the base plate. On top of the butcher paper place one ball of dough the size of a golf ball. 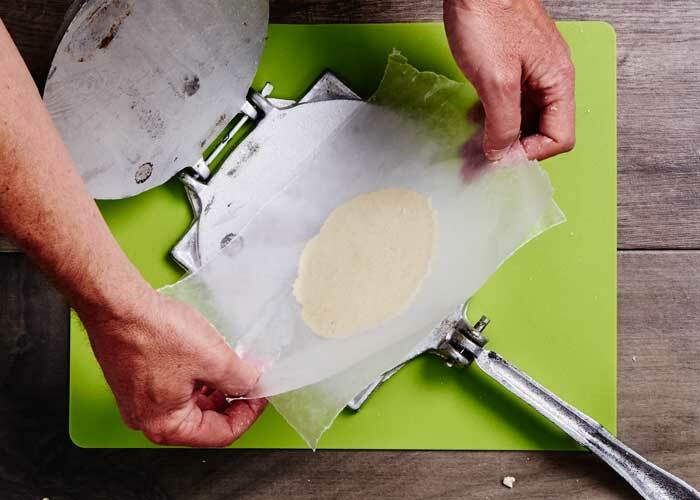 Place the other square of butcher paper over the dough. Lower the top plate onto the dough. Firmly press down on the handle. The tortilla after the first press. 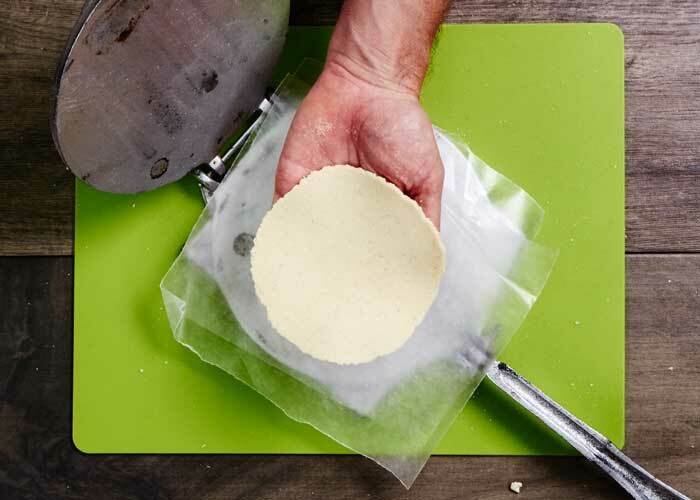 Grab both sheets of butcher paper with the tortilla in between and flip it over. Press the tortilla a second time. Notice how the tortilla has extended and is more evenly shaped. 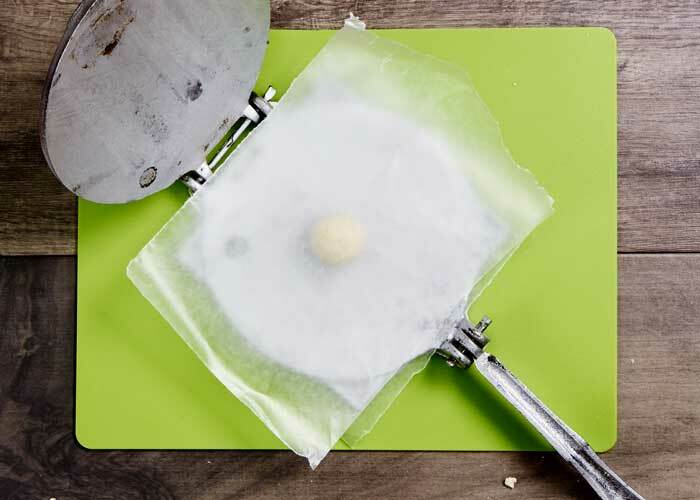 Gently peel the tortilla away from the waxed paper. 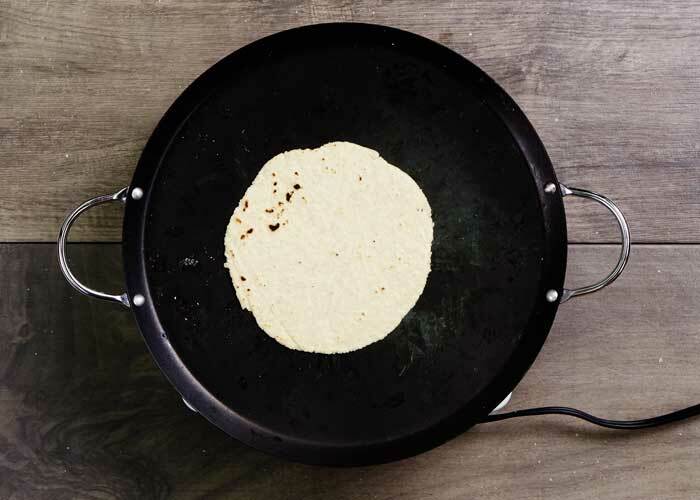 Your tortilla is now ready to cook. heat a comal or griddle to medium hot. Place a tortilla on it and cook until it starts to lift. 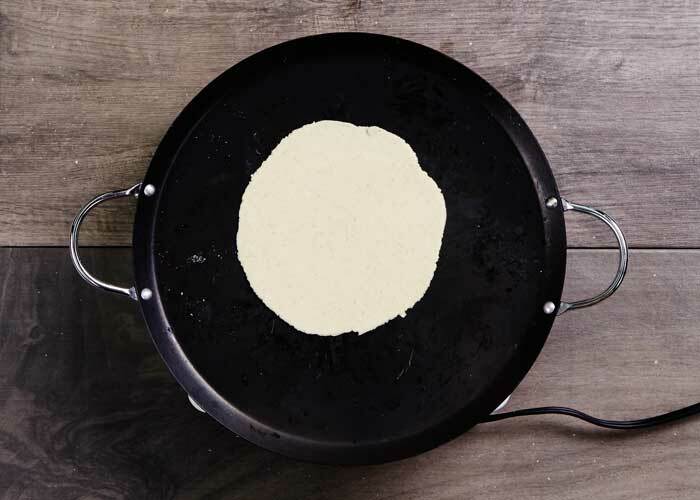 Flip the tortilla until it starts to lightly puff which indicates that it is fully cooked. The finished product. 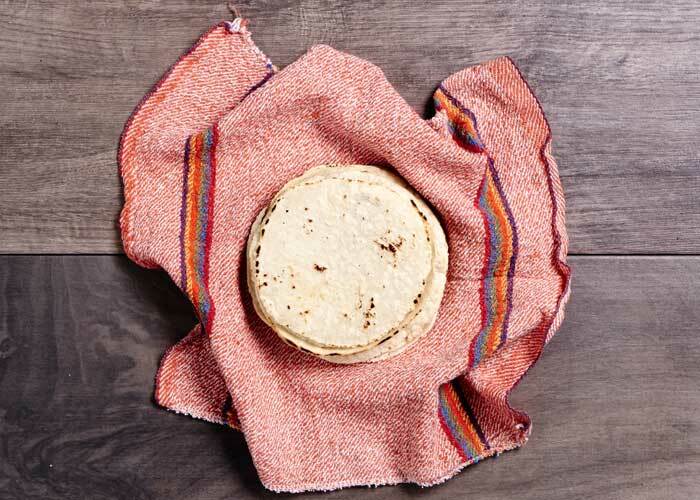 Keep warm by wrapping tortillas in a cloth towel or tortilla warmer. A tortilla press is very nice to have and homemade tortillas are very tasty. 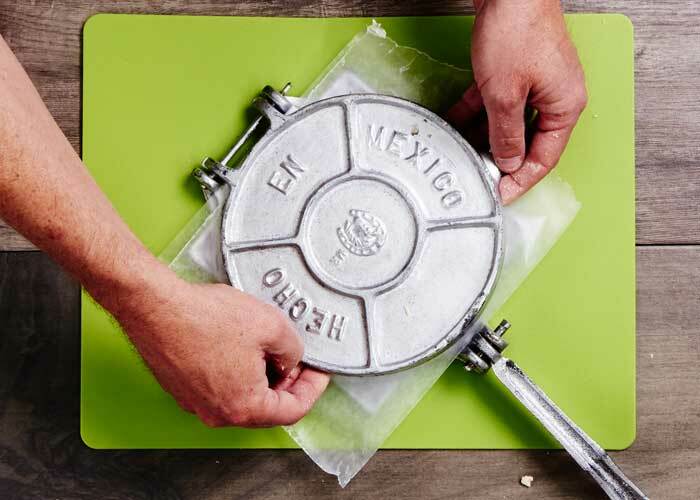 We created a company who sells tortilla presses and give recipes for delicious tortillas. The profit of the presses will be donated to the indigenous people of Mexico, so you help yourself and the Mexican community!